Lower Antelope Canyon - the Antelope Canyons (both Upper and Lower) are a photographer’s playground. 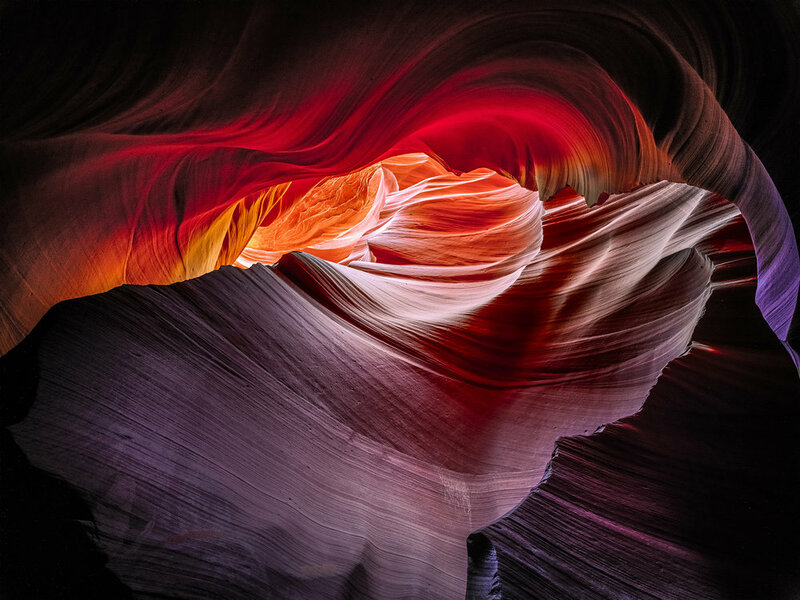 The surreal colors created by the reflective sunlight combined with the ever-changing sandstone waves can produce some of the most exquisite abstracts anywhere in the southwest—or even the world. I can say without hesitation, these canyons are some of the most incredible places I have ever visited. The canyons are constantly changing (from flash floods) so the time of year and even the time of day can make the same location look completely different. 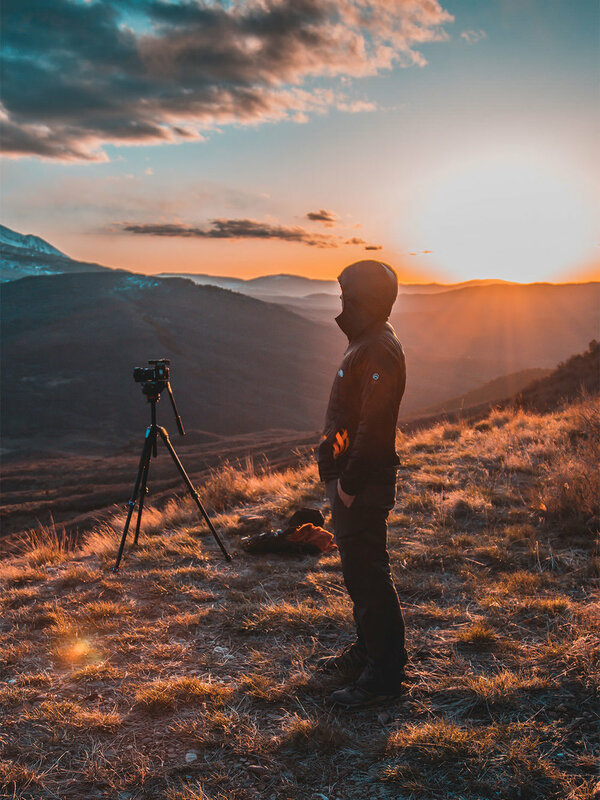 What makes photographing the canyons so distinctive is that the camera often will see a totally different color spectrum than the human eye will. The unequal color temperatures (Kelvin, not Fahrenheit) inside the canyons render reds, purples, blues, and oranges that your eye simply does not see.